Few Questions are asked on Important Days each and every year in NEET PG/ DNB/ UPSC CMS Examinations. The World Red Cross Day is observed on? What is the theme of the World Immunization Week 2017? 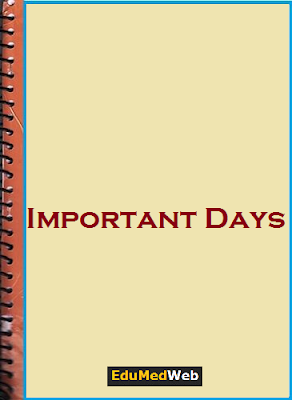 Here we are sharing [PDF] Collection of Important Days and Their Significance.